Sometimes, while watching sports, you as a fan find yourself in those rare transcendent moments where you’re seeing something one-of-a-kind. The Monday night game between the Pittsburgh Steelers and Kansas City Chiefs was definitely not one of those moments. In fact, while watching the Chiefs battle, inspire and ultimately embarrass, I couldn’t help but thinking of another classic Chiefs team: The 1995 Kansas City Chiefs. Let’s see what made them tick. 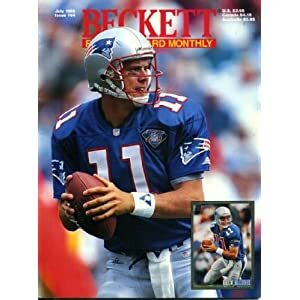 Coming off a middling season led by Joe Montana, hopes were probably low for the ’95 edition of the Chiefs (I can only assume, I was only 11 at the time and my Mom threw away all my Beckett’s). Typically, fans are not particularly thrilled about going from a surefire Hall of Famer to former UCLA star Steve Bono. As a Bears fan, I would have been thrilled with Bono, but as a fan of any other team that’s pretty depressing. In case that isn’t enough, future MVP Rich Gannon was his backup (seven years later, but whatever). To make sure they filled their quota for Hall of Famers that people don’t equate as a Chief, Marcus Allen shouldered the load as featured back. This Chiefs squad led the NFL in rushing; Allen ran for 890 yards, his most since ten years earlier. Allen was escorted out of the backfield by a personal favorite, mostly because of his name, Kimble Anders. Great name. Other than providing delight because of his name, Anders also led the Chiefs in receiving. What a gamer. Other receivers include Cleveland Browns v1.0 favorite Webster Slaughter and Lake Dawson. Come to think about it, this team had some pretty dominant names. Joe Valerio, who was an offensive lineman, caught one pass for a one yard TD. I love tomfoolery down by the goal-line (take that any way you want). Look, I’ll be honest with you, I never knew the Chiefs ever had a good defense in their history. Even though they had Neil Smith and Derrick Thomas, their D wasn’t really great in Super Tecmo Bowl so I just figured that their real-life D wasn’t really that great. Nintendo stereotypes are typically true. In any case, the Chiefs defense was the #1 ranked unit in the NFL. Shocking. Smith had 12 sacks, and Thomas chipped in eight of his own. Dan Saleaumua was right behind them with seven (probably) vicious QB takedowns. Young Dale Carter picked off four passes and old defensive tackle Joe Phillips intercepted one as well. Somehow there isn’t a Youtube clip of that. But here’s some highlights that show a game ending pick-6 vs the Raiders. This is my favorite part simply because I get to talk about Tamarick Vanover. I don’t know where a mother and father come up with a first name of Tamarick, and Vanover sounds a lot like Vancouver so there’s that. But my favorite part of Vanover is he was absolutely electric for two years as a returner. He was Dante Hall before Dante Hall had his two years of electricity as a returner. He led the NFL in punt return yards and returned three kicks for TDs in ’95. He went to Florida State, but I have no recollection of him there. Their punter was Louie Aguiar, who made 2nd Team All-NFL (doooonnnnn’ttttt caaaaarrrreeee). Kicker was Lin Elliot. His final year was 1995, probably because he missed three field goals at an important situation (foreshadowing – keep reading to find out more). What the hell could “Lin” be short for? Is that his real name? Does he know Lynn Belvedere (also know as Mr. Belvedere)? Led by Bono, Anders and Vanover, the Chiefs charged out to the best record in the league at 13-3, good for the #1 seed in the AFC (duh). But little did the citizens of Arrowhead know, they were preparing for a playoffs fraught with frustration (duh, again). After upsetting the mighty Chargers of San Diego, the Indianapolis Colts, led by better-coach-than-player Jim Harbaugh, were due for a date in KC. Despite 94 yards rushing by Allen (and 16 from Anders), Bono threw three picks, was benched for Gannon and the Chiefs dropped their AFC Divisional Series game 10-7. Linny missed three field goals, including a 42-yarder with under a minute to go and the dream season ended. It doesn’t dull the pain at all, but Lake Dawson did score the only TD for the Chiefs with a five yard reception. If Lake Googles himself, I hope he sees this. What an ugly Thursday Night game (although it can’t get much worse than having the Jacksonville Jaguars on television). One team coming off getting routed at home against a kinda crappy Titans team vs a team that lost by less than a touchdown in New England that included a fumble on the one yard line. Joe Philbin seems like a nice enough coach, but this is his first real bout with head coaching adversity having benched Reggie Bush after fumbling and then letting that game get out of hand. I can’t trust him to have the pulse of his team just yet. On a Thursday night, short rest, not a ton of time to get prepped, I’ll gladly take the home team that played far better four days earlier. Thursday home favorites are a cash cow. Milk it. This was written by Jim Cook. His moves are more like Amp Lee than Jagger.